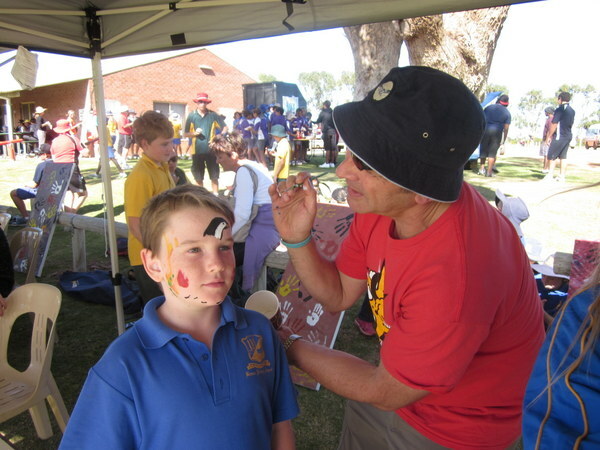 Back from Geraldton: the NAIDOC Sports Festival rocked! 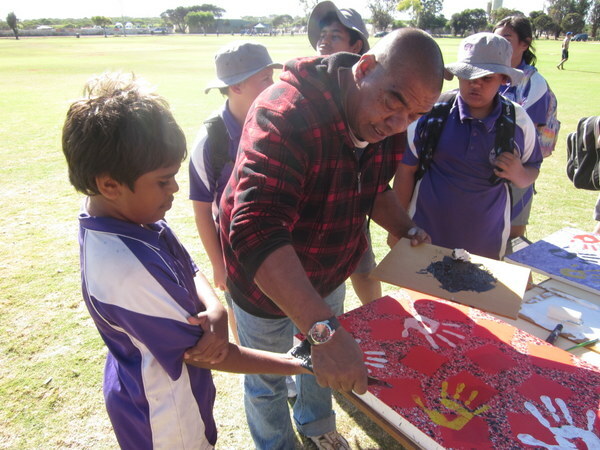 Artist Patrick Lee worked with kids from seven schools at the 2013 Geraldton NAIDOC Sports Festival. Just back from Geraldton, where I’ve had a terrific week with gorgeous authors and illustrators Sally Murphy, Kevin Burgemeestre and Den Scheer (who has also done a great write-up of this event). Together, we did meet-the-author school shows and writing and illustration workshops across three days and seven schools, and it was FANTASTIC. Me, Den Scheer and the disembodied head. We saw an awesome Aboriginal dance troupe, made up of Year 9 students. Very impressive! Thanks to the Children’s Charity Network for supporting the event, to artist Patrick Lee for his amazing talent and generosity, and to Marg Maxwell and her team (including Ken and the cat) for their brilliant hospitality. Hugs to you all (even the cat)! While I’m on the subject of the Children’s Charity Network, they run some exciting award programs for young authors and artists. I was (am?) addicted to entering competitions of this kind, and even won a couple when I was still at school (the old Canon Young Writers of the Year was a highlight…my first trip to Sydney! Yee ha!). We all know how hard it is to be a writer, how much you need to believe in yourself if you’re even going to put words on a page, and awards like this can give young artists a real boost, right when they need it most. It sure helped me! So, if you know a young writer or talented artist (or if you suspect you might possibly be one…), check out the awards, and the OzKids in Print magazine. 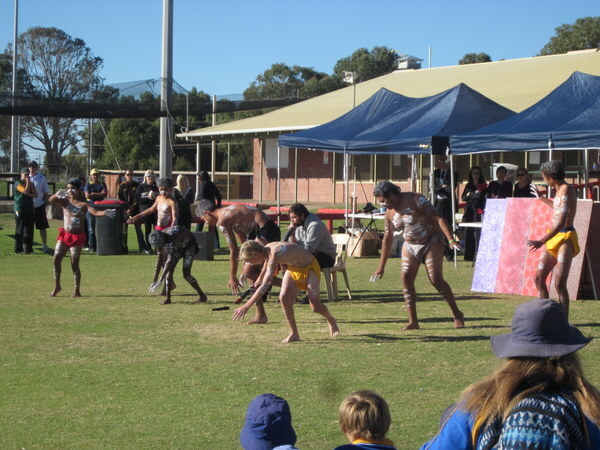 I’ll leave you with more images from the NAIDOC Sports Festival…it rocked! Artist Patrick Lee and fans. How many grams of sugar in each drink? Artist Patrick Lee working with the kids. And a special bonus for reading down this far? Check out A MONSTER HOUSE by Zac R from Room 13. Tags: Childrens Charity Network, NAIDOC, young artists, young writers | Permalink.